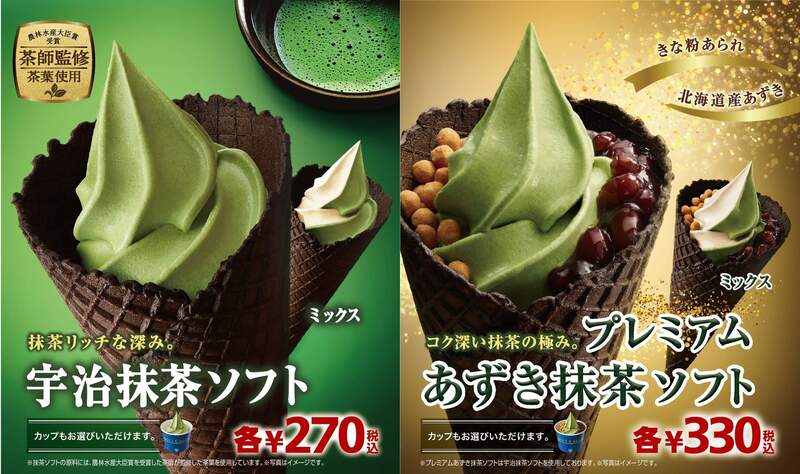 MINISTOP convenience stores across Japan released two new matcha soft service ice creams on November 2: the Uji Matcha Soft and the Premium Adzuki Matcha Soft. MINISTOP has served a range of Premium Soft ice cream products made with top quality ingredients since 2015 including their Premium Belgium Chocolate Soft and Premium Chestnut Mont Blanc Soft. This year’s ingredient is matcha, the hugely popular tea flavour loved both in Japan and overseas. 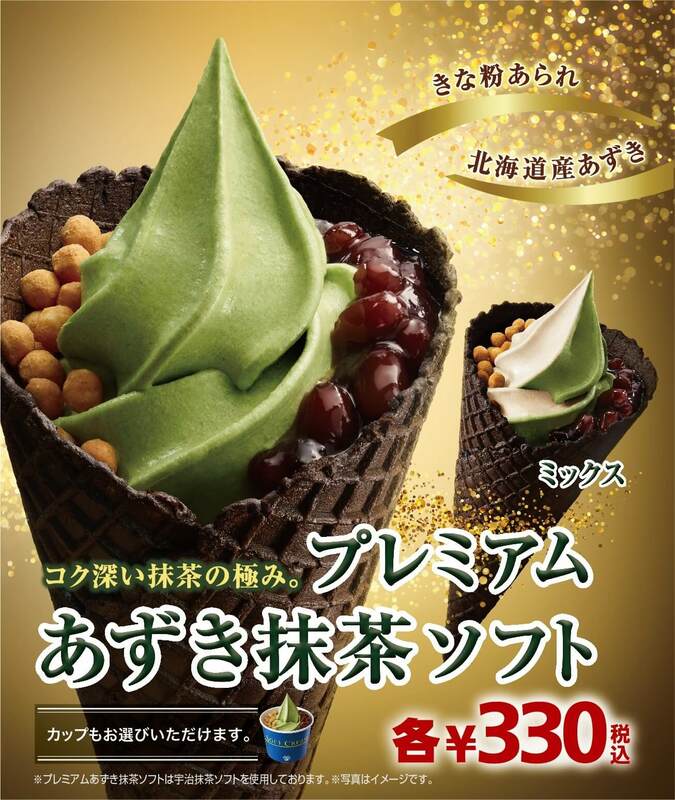 The soft serves are made with full-bodied matcha carefully selected by the tea experts of Hokodo, a long-standing Uji tea shop. 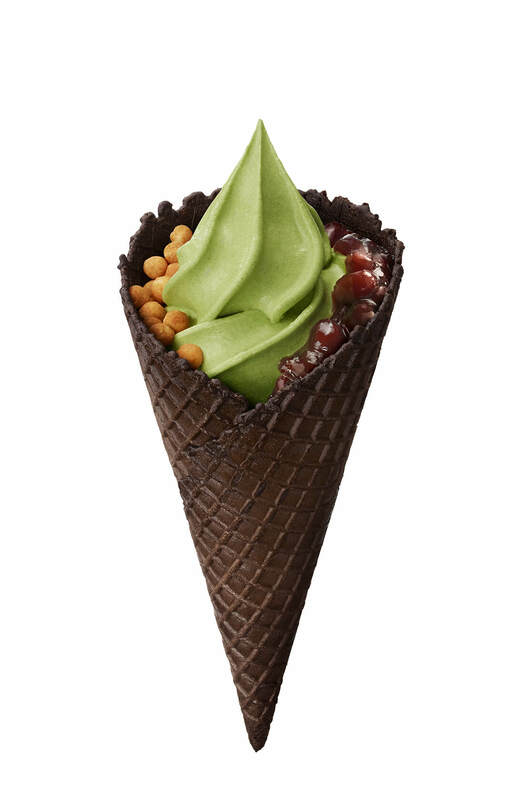 You can choose from the regular Uji Matcha Soft or go the full mile and get the Premium Azuki Matcha Soft which comes topped with adzuki red bean sauce and soybean mochi pieces. 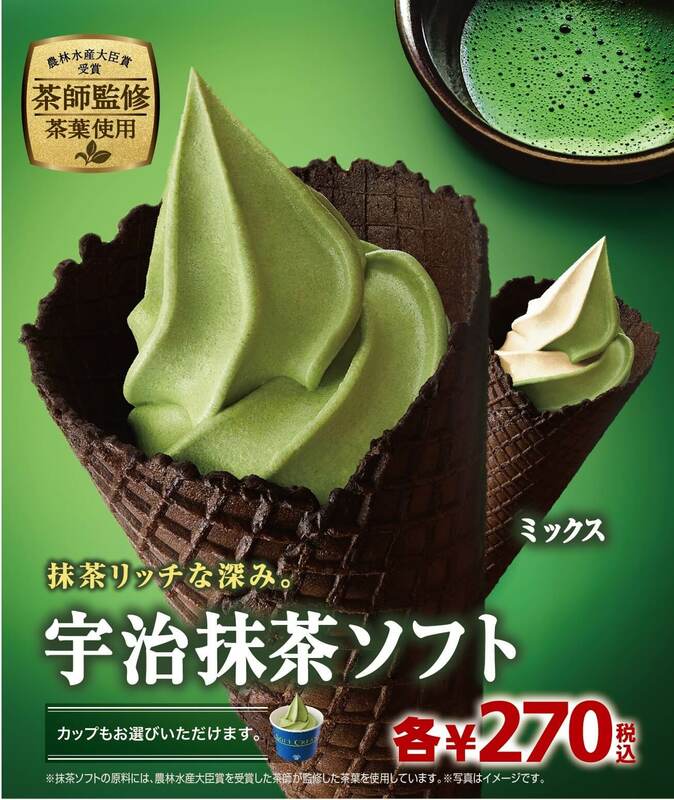 The cones are also made in the image of a matcha teacup. Their colour comes from brown sugar syrup which uses brown sugar from Okinawa Prefecture, offering a sweet sugary addition to the bitter flavour of the matcha. These ice creams are available for a limited time only so head to a MINISTOP convenience store while you can and try them yourself! *Flavours to alternate at each branch from November 2 to November 9. *Available with a cone or cup.